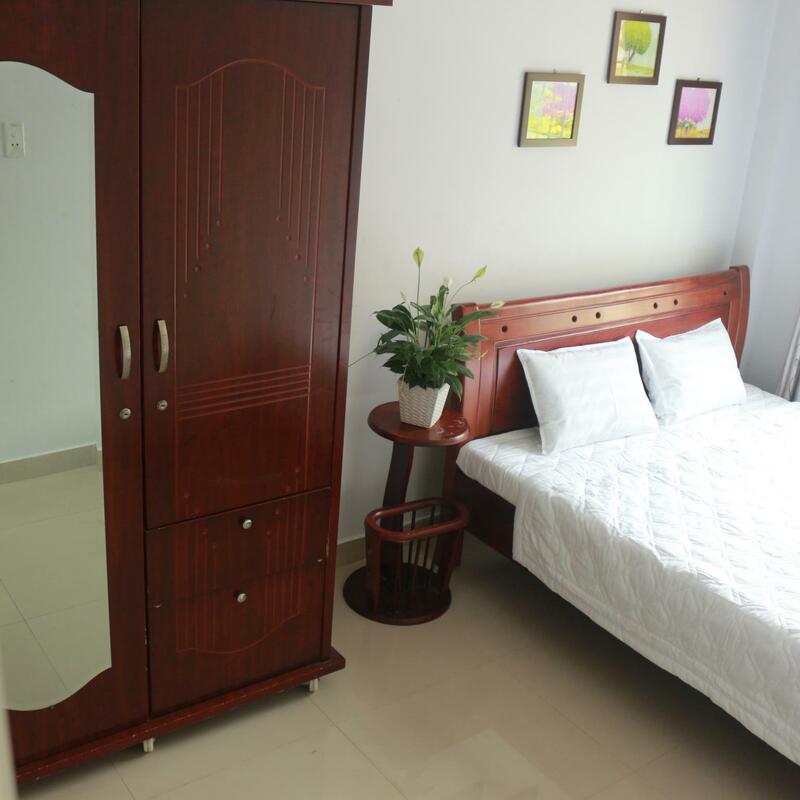 ﻿ Mint Homestay, Da Nang - SAVE ON AGODA! "We feel like home, the staff are really friendly." Have a question for Mint Homestay? "Tours are sweetly customised for the needs of guests, like us." "The house is nice and the owners are very kind." "Staff very nice and helpfull Breakfast included." 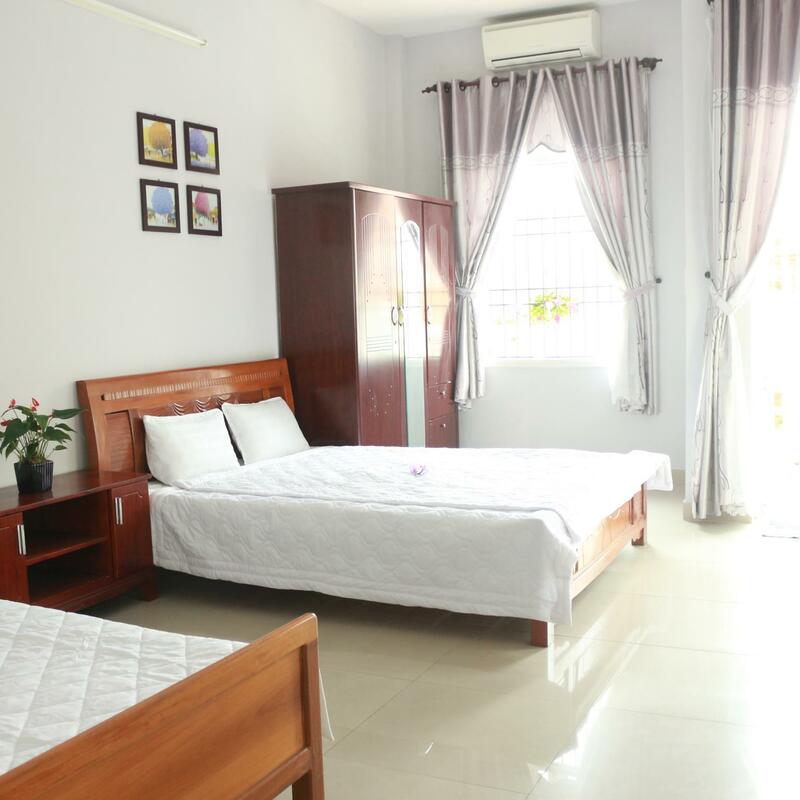 Offering quality accommodations in the family fun, sightseeing, beaches district of Da Nang, Mint Homestay is a popular pick for both business and leisure travelers. The excitement of the city center is only 3km away. With its convenient location, the hotel offers easy access to the city's must-see destinations. At Mint Homestay, the excellent service and superior facilities make for an unforgettable stay. For the comfort and convenience of guests, the hotel offers 24-hour room service, free Wi-Fi in all rooms, ticket service, 24-hour front desk, room service. 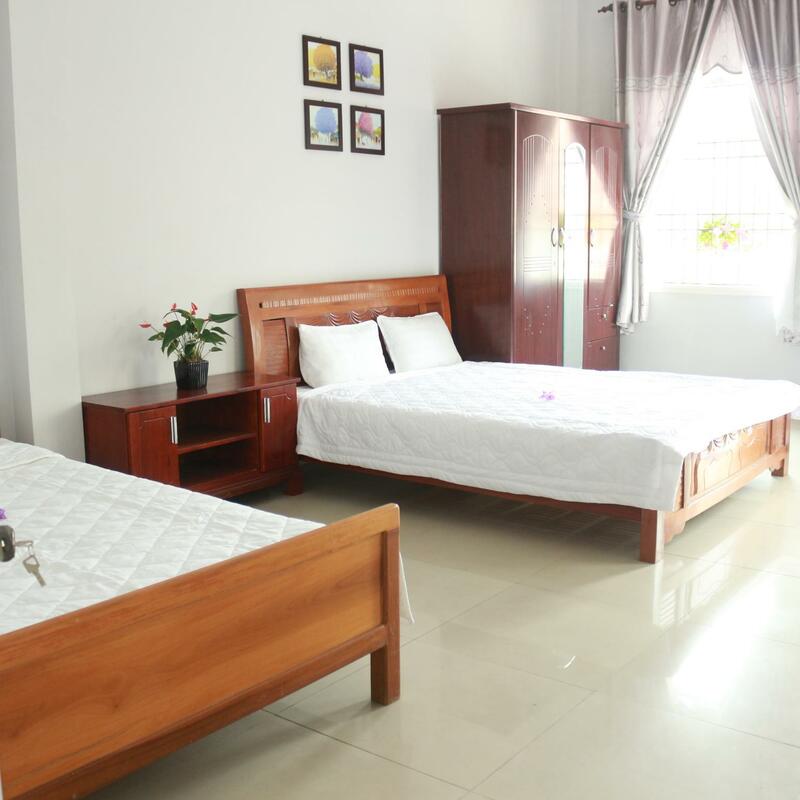 The ambiance of Mint Homestay is reflected in every guestroom. additional toilet, free welcome drink, locker, mirror, private entrance are just some of the facilities that can be found throughout the property. Besides, the hotel's host of recreational offerings ensures you have plenty to do during your stay. Discover an engaging blend of professional service and a wide array of features at Mint Homestay. "Enjoyed my stay there for 2 nights." Highly recommend this homestay. The house is nice and the owners are very kind. They are always willing to help us whenever we need. I really love to stay there, it's so quiet and peaceful. Their puppy is so cute! We stayed at Mint Homestay for 1 night in Da Nang. The price was very good which included breakfast and the room was basic but had all you needed for budget accommodation. We had a motorbike during our stay so the location wasn't an issue for us but if you didn't have transport I would say the Homestay was a little out of the way. The family are friendly but I did feel slightly intrusive when having to walk through their living room to leave the property whilst they were either watching to, sleeping or eating. We were also out late for drinks one evening and when we returned home the gates were locked, after repeatedly ring the door bell and knocking and receiving no answer I had to make a phone call to the owner to come and let us in (very awkward and luckily I had a Vietnamese SIM card to make the call). Everything else about our stay was fine but at the end of the day this is a guesthouse and not a hotel and the difference is clear. The room was as you'd expect, clean with the usual amenities. And, the bathroom was HUGE! The breakfasts were nice and the staff very chatty and friendly. It is slightly out of town but no problem if you have a motorbike which you can rent from them. Mint Homestay offers personalised service. The super-affordable price of the rooms comes with breakfast -- a simple yet hearty Vietnamese meal and prepared by no other than the young owners. The owners make sure that the requests of the guests are attended to. Tours are sweetly customised for the needs of guests, like us. They also try their best to suggest better activities to do. They help you in any way possible. Overall, Mint Homestay has exceeded my expectation, particularly service. Enjoyed my stay there for 2 nights. Very peacfull and quiet. Staff very nice and helpfull Breakfast included. Great place ! We had a perfect time here, Van & Giang are the owners, young and nice people. The most impressive thing for me is Cooking Class, it was supper supper funny, Van touch us a lot about Vietnamese culture cause she is a local tour guide too, we enjoyed it so much, thank you Van. Room was very clean and nice, there were towels and minibar, which wasn't overprices, which was handy. Good staffs with good English. I strongly recommend Mint home. The young hosts are nice and try to make you feel comfortable. But at the beginning it was a bit difficult because over everything that was supposed to be included, there was not much left! The "welcoming drink" is not what you expect: it's not a beer or a glass of alcohol, not even a coffee...but a glass of water! The kitchen is not available to cook, only for the "long stay customers", pure water neither. But we talked a while and our stay was way better after that. They even invited us to dinner and dropped us to the airport the sixth day. Breakfast is simple, usually toasts and egg with tea, sometimes it's different (we were lucky to try vietnamese specialties), but guys: you should toast bread AFTER the eggs, and offer at least a coffee with it (for those who don't drink tea ;-) ) It's a bit far from the beach (2km) and the center (6km from Big C), but equally distant from Marble Mountain and Monkey Mountain, so you should definitely rent a bicycle, it's the best way to enjoy your stay. Room could have been cosy but there were thousands of tiny tiny ants, the bed is comfortable though and the room is big. It's a young homestay which will only continue to get better with time and good advice ;-) Thank you for everything, if we come to Da Nang an other time, we will come back again. The hosts are some of the nicest people I have met in Vietnam. Helping you with everything and always making sure that you are good. Really funny persons too and it really felt like a home to stay there. The cooking class is a lot of fun and a nice way to learn about Vietnamese food. One day I came home late in the evening, but.they still got some of their food for me.I completely enjoyed my time at Mint homestay and wished I could stay longer, because its like a family. The house is very nice, clean, and the owners are very friendly. They help me feel like at home. They cook very well, and teach me how to make Vietnamese food. Will be back in next trip. Das Mint HS liegt in einer ruhigen Sackgasse, schlafen ohne ohrenpax. Helen und Ihr team sind tolle gastgeber. wifi, a/c, sauberkeit alles gut. ich war über 10 tage in einem zimmer mit geteiltem bad. E sisch absolut top gsi und i würd sofort dort wider übernachte.